Storing our data with a third party server or storage place has been always a concern. We used to save our personal as well as company or organization related data with storage space providers like Dropbox, Google drive, Outlook drive etc. They provide security for our data but sometimes we need to go for their premium service if the storage space we need is large. What if we can use our own server, dedicated or a VPS to store these data? We will get the UI much similar to any other service providers as well. ownCloud is a web application that can store and serve content from a centralized location or server, it is much like using our Dropbox or Google drive to store and retrieve data. The difference is that ownCloud 7 allows us to host the serving software on our own machines, taking the trust issues out of putting your personal data someone else’s server. 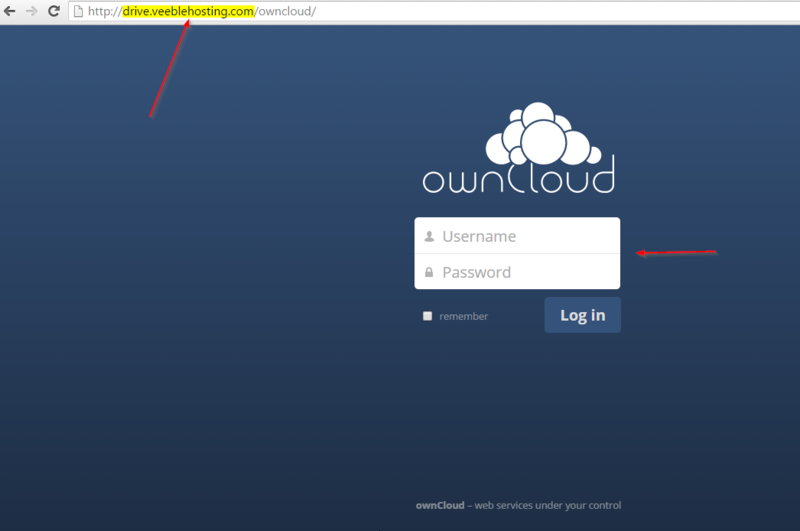 How to Install ownCloud on CentOS? Installing ownCloud on server is very easy, we can do it with the help of yum after having required rpm’s installed on the server. The server should have at least 512 MB RAM for the smooth run of ownCloud. You can check the versions of above mentioned packages on the server and install/update them if the server does not meet the requirement. You can install MySQL, PHP and Apache by following the below methods. Please replace drive.veeblehosting.com in the screen-shot with your server IP, thank you!